See more objects with the color darkolivegreen dimgrey darkslategrey grey rosybrown or see all the colors for this object. This is a Video content. It was designed by Richard van As. It is dated 2013. Its medium is 3:16 minutes. It is credited Courtesy of MakerBot Industries. We have 1 video that features Video Content, Robohand: Video Clip, 2013. 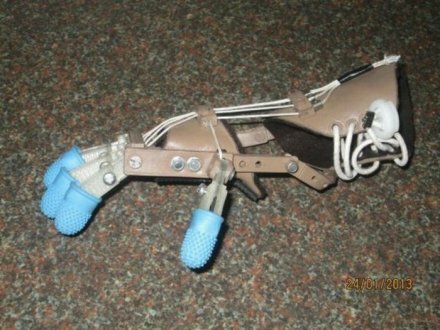 The Robohand's creator talks about how the device works, plus a testimonial from a Robohand user.